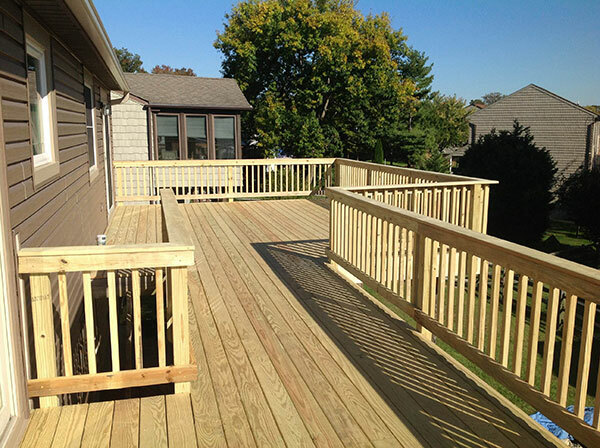 This should be the year that you finally add a new deck to your home! With Summer being right around the corner, you may find yourself in exactly the same predicament you’ve grappled with for years: Is it time for a new deck? Why not make 2016 the year that you finally have the cookouts, barbeques, and all-around outdoor fun that your lack of a deck has heretofore prevented. As you’re reminded annually, the lack of a place to entertain guests, puts you at a distinct disadvantage.So, what are you waiting for? Now is the perfect time to invest in a new deck, and Freedom Fence is your go-to source for the best deck in the Baltimore Metro Area! Increased Functionality: If your home lacks an area in which to entertain guests, a deck is the perfect party venue! A new deck will provide a relaxing outside recreational area that your whole family is sure to enjoy. High Return on Investment (ROI): New decking projects boast an incredibly high ROI – 85.4%. So do not look at a new deck as an expensive addition to your home; look at your new deck as an investment in your future. Improves Aesthetics: Let’s face it; a new deck just looks good – not only on its own, but also for the way it complements the rest of your house! Makes Your Home Easier to Sell: It’s estimated that 95% of homebuyers will not consider a house that lacks curb appeal. A new deck can help take your home off the market considerably faster. As you can see, there are several advantages of a deck! We look forward to hearing from you to discuss your specific needs. This entry was posted on Wednesday, April 6th, 2016	at 1:18 pm	. Both comments and pings are currently closed.